PhD scholar Sherry He, from the ANU Research School of Engineering, and Dr Samantha Montague, from the John Curtin School of Medical Research at ANU, work with their diagnostic device that reveals the formation of blood clots in patients. Photo: ANU. A new diagnostic device developed in Canberra has been described as a potential gamechanger in the treatment of stroke and heart disease, which claim millions of lives around the world every year. Invented and trialled by a team of engineers and biochemists at the Australian National University, the ‘bio-optics’ device can reveal the formation of blood clots and help doctors to identify patients at imminent risk of having a stroke or heart attack. Biochemist Associate Professor Elizabeth Gardiner, from the John Curtin School of Medical Research (JCSMR), said that doctors treated people at risk of heart attack or stroke with blood-thinning medication, but there was no way to know a patient’s susceptibility with precision – until now. Predicting the formation of a blood clot is challenging because of the dynamic environment in which a clot forms. Blood platelets, which are a tenth of the size of a regular cell, are the major drivers of blood clot formation as they clump together within seconds when triggered. ANU biomedical engineer Dr Steve Lee, from the ANU Research School of Engineering, said the new diagnostic device allowed researchers to create and quantify clot formation in 3D view from a blood sample without any form of labelling such as fluorescence or radiotracer. “This had been impossible to achieve until now,” he said. 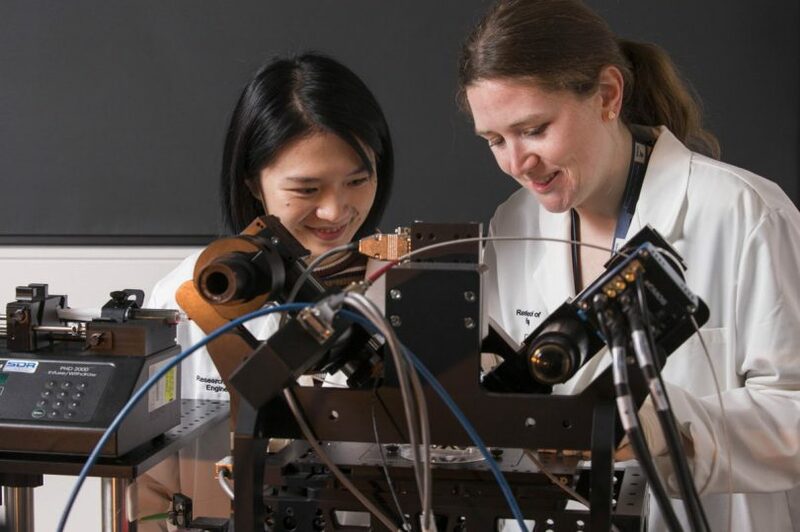 Sherry He, a CSC-PhD scholar in Dr Lee’s group at the ANU Research School of Engineering, and Dr Samantha Montague, a postdoctoral fellow from the Gardiner group at JCSMR, supported the development of the new diagnostic device. “Our device creates a digital hologram of a microscopic blood clot at a fraction of a second by measuring the delay time for light to travel through the clot,” Ms He said. Ms He said the device could be fitted onto a regular microscope, but was not yet suitable to be used at the bedside. “We have set up this new diagnostic device at JCSMR right alongside routine flow cytometry equipment that are the gold standard for cell and blood platelet analysis,” she said.